The history of Norad. Track Santa tonight! My kids have always loved Santa. It was a tradition in my husbands family. 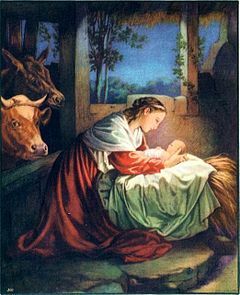 (Growing up we always knew about Santa but the focus was more on the Christmas Story than Santa.) Our kids use Norad every year (you can also track him using Google Earth) to track Santa’s journey around the globe and watch with anticipation to see where Santa is and where his next stop will be. I have often wondered how this Santa tracking site came to be so here is the story as told by cnet news & Google, amazing that it all actually began in 1955 with a wrong number. “One morning that December, U.S. Air Force Col. Harry Shoup, the director of operations at CONAD, the Continental Air Defense Command–NORAD’s predecessor–got a phone call at his Colorado Springs, Colo., office (see video below). This was no laughing matter. The call had come in on one of the top secret lines inside CONAD that only rang in the case of a crisis. The ad that started it all. Kids all around the globe have fun every Christmas Eve tracking Santa! I’ll be watching, will you?! Get in the spirit with some Christmas Music! Survey: People can’t live without high-speed Internet | Digital Media – CNET News. While I could live without it, I sure would not want to…what do you think? The origin of Candles on St. Lucia’s Day. St. Lucia, the patron Saint of Light. December 13th…In traditional celebrations Saint Lucy comes as a young woman with lights and sweets. A procession is headed by one girl wearing a crown of candles (or lights), while others in the procession hold only a single candle each. 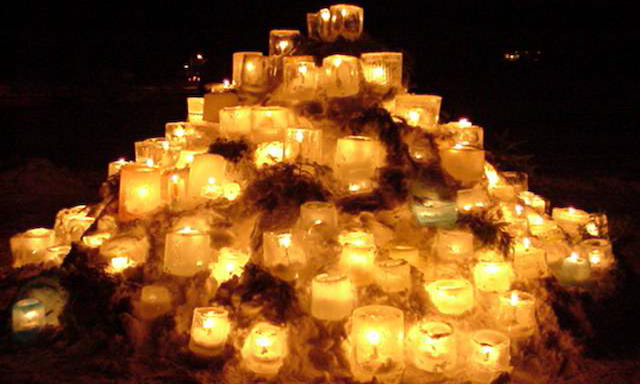 One of the most popular Christmas traditions in Sweden is the celebration of Saint Lucia’s Day, on December 13th. Although not a legal holiday, Saint Lucia’s Day is a day of great celebrating and merriment. The Story of Saint Lucia stretches back to the time of the Vikings and the Roman Empire. According to legend, Lucia was a brave young woman from the island of Sicily, in the Mediterranean. When Lucia heard about the persecution of Christians by the Emperor, she gave one Christian family her entire dowry. This so angered her betrothed husband, that he told authorities that Lucia secretly practiced Christianity. Lucia, who died a martyrs death, was much admired for her courage, generosity and faith. And tradition has it that she took food to Christians hiding from persecution in underground tunnels, wearing candles on a wreath around her head to light the way. Traditionally, on St. Lucia day The Lucia is dressed in white robes and red ribbons and wears a crown of candles on her head. Often times the eldest daughter plays Lucia, and greets her family with a breakfast of hot coffee and pastries, known as Lucia Buns or St Lucia buns or Swedish Saffron Buns or Swedish Lussekatt. St. Lucia is rich with religious history and symbolism, and it is a holiday that has withstood commercialism and stayed firm in its origins in modern times. We are celebrating this day by pouring our Ginger Crumbcake Candles! A tantalizing blend of the rich, spicy scents of gingerbread baked with saffron, nutmeg, cinnamon, molasses, vanilla, brown sugar and butter notes.